My condolences to my Eritrean brothers, and sisters, you expected substantive message, from the arranged PIA interview. It was painful to listen to PIA interview. But it is nothing new. You can go back 10-20 years back, and you hear the same empty spins. He lectures us how one should be able to think, and what one should be able to do. Who is he lecturing to? 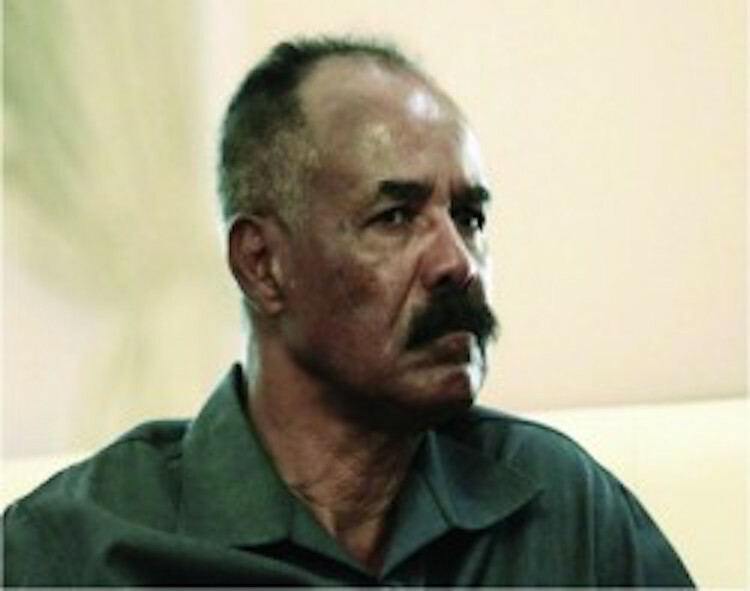 He has been 100% in control to what is going on in Eritrea for the last 26 years, and he has failed to deliver any economic progress. In fact he decimated Eritrea’s economy. It is time for him to go. My brothers, and sisters, if we don’t weak up from the coma we are in, and get rid of PIA, we are going to lose Eritrea for good. We are running out of time. If we give him more time, he is going to do irreversible damage that will require yet another sacrifice to bring back Eritrean sovereignty. For the last 20 years he has been telling us that as long as Ethiopia is occupying our territory, there would not be any normalization of relations. We have now normalized relations with Ethiopia while our territory is still occupied by Ethiopia. Let us justify that by the political change in Ethiopia, and we trusted the new Prime minister to deliver. It has been 4 month since we have normalized our relations, but no progress on pulling out from our territory, and no plan for demarcation to be completed. When PIA was asked about demarcation, he said we need to develop trust with Ethiopia, and stablish proper ground for demarcation. Who needs to trust who? We don’t hold any territory that belongs to Ethiopia. Is that mean they need to trust us before they vacate from our territory, and demarcate the border? It is not very difficult to understand that the president has no intention to demarcate the border. For the last 20 years he has been saying that Eritrea has been a sacrifice Lamb for Ethiopia. But it is now that we are becoming a sacrifice Lamb for Ethiopia. He is going to leave the border issue unresolved until Ethiopia stabilizes. And then who knows what he has planned for Eritrea. Here is what very Eritrean needs to pay attention. The president said any one who voices doubts about border demarcation, and inquires bout it is considered against the peace process with Ethiopia. Remember the last 20 years ,if you make any criticism of the government you were called Woyne. Now that is not an option any more, this is a new intimidation method. We don’t even have a right to ask about our border that we paid direly to protect. Which was a war that he initiated? And he had the audacity to say that we did not lose, while celebrating with Dr. Abiy. The president said we are in a fork road. And we are. This is the time to save Eritrea. Where are our Arm Forces? Where are the Lions of Nakfa? The clock is ticking! Peace and Liberty to Eritrean People! Post Script: I wish to sincerely thank http://www.assenna .com for the privilege of using the SPACE even for laughter. I think, it helps from time to time, without abusing the SPACE. Thank YOU. Just try to post brief comments.